The parcel contained an FM radio and exploded when postal superintendent K K Dixit’s son Ritesh, a medical practitioner, plugged it in on Thursday morning. 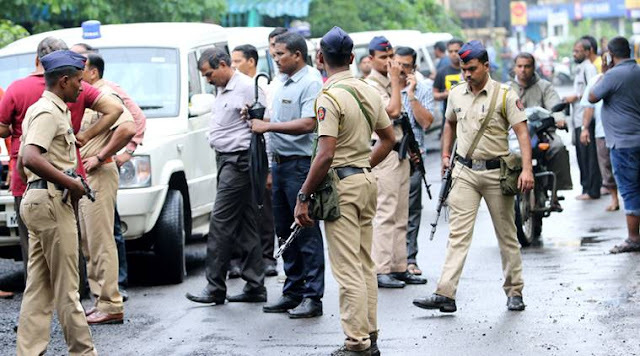 A sacked contractual employee of the postal department was arrested in Madhya Pradesh’s Sagar on Friday for allegedly trying to kill a senior official by sending a parcel bomb. The parcel contained an FM radio and exploded when postal superintendent K K Dixit’s son Ritesh, a medical practitioner, plugged it in on Thursday morning. Dixit, who was on the third floor of his residence, was unhurt but Ritesh was critically injured. Two others, Dixit’s relative and a servant, also sustained injuries. The sender’s address on the parcel was fake, but police accessed footage of CCTVs installed in the Mandi postal office from where the parcel was booked and nearby buildings to zero in on two suspects. Rajesh Patel, 23, and Moolchand Luhar alias Babloo,33, both residents of Motinagar, told the police that they had been given money by one Hemant alias Ashish Sahu for sending the parcel to Dixit’s home, said police. Sahu, who worked at the Rampur branch of post office was sacked for alleged embezzlement in 2017. Dixit had also lodged a police complaint against him. Sagar SP Satyendra Shukla told The Indian Express that when the police took Sahu into custody, he admitted to sending the parcel bomb with an intention to kill Dixit. He claimed he was wrongly accused of misappropriation and wanted to take revenge against Dixit. According to police, Sahu, a graduate, said he learnt the technique to make a bomb through Google search engine and bought nearly 6-kg explosives and detonators from a local shop. The device would have exploded only after it was plugged in. The police recovered from his home transistor parts he had removed to accommodate the explosives. IG (Sagar) S K Saxena said Sahu had told him that his monthly salary was around Rs 8,500. The IG said he has asked for a detailed investigation in the embezzlement case too. The parcel had been sent to Dixit’s office on January 23. Since he was not in office, assistant superintendent C B Namdeo accepted the parcel and sent it to Dixit’s home through driver Biharilal Gaud on January 24. The police said Patel and Luhar were probably not aware of what the parcel contained. Dixit told police the parcel contained a blue FM transistor radio. He said he did not switch the radio on and left for official work in Bandakpur. On Thursday, around 9.30 am, he was in the third floor while Ritesh was in the second. The moment Ritesh plugged in the device it exploded causing injuries to him, his uncle Vijay and servant Devsingh.